Anchorage Elder Law Attorney Answers: Is Long-Term Care Insurance a Good Investment? As an Anchorage elder law attorney, I get this question quite a bit. Should I invest in long-term care insurance? The answer is….maybe. Let me explain. First, you should consider the fact that the Department of Health and Human Services estimates that anyone reaching the age of 65 years has a 40% chance of entering a nursing home, with a 20% chance of staying there for at least 5 years. So, the chances are favorable that you will need some type of long-term care in your lifetime. That is why it is essential to plan in advance for how you will pay for it. Long-term care can be very expensive. In some cases, the cost of skilled care can be $10,000 per month. As you can imagine, this type of cost can quickly scramble anyone’s next egg. One way that people are preparing for this is to purchase long-term care insurance. Long-term care insurance is often marketed as providing protection against the high costs associated with skilled nursing homes and other long-term care facilities. But, before proceeding with this option, do your homework. 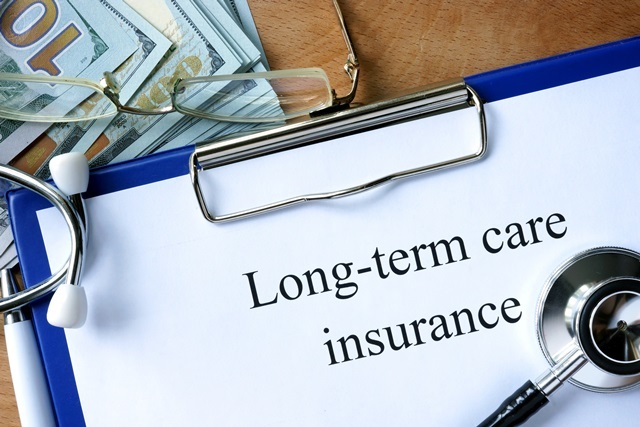 Long-term care insurance policies come with many requirements and restrictions and often only provide a portion of the long-term care costs. Another thing to watch for is the length of stay provision. Some policies only pay for stays six months or less. Additionally, policies sometimes do not cover assisted living facilities which people tend to stay in much longer than nursing homes. You should also make sure that you can keep paying the premiums in your later retirement years. Often, money gets tighter as we age and paying the premiums may be difficult, resulting in dropped coverage just at the point the insurance may be needed. There are still many situations where long-term care insurance just makes sense. Most financial experts believe that paying long-term care insurance premiums that amount to 5% or less of your monthly income is a good idea, as long as you consider that income will drop and premiums will rise as you age. This is why it’s important to consult with an Anchorage elder law attorney, as well as a financial advisor, before you decide to commit to long-term care insurance. An elder law attorney can review your individual situation and advise whether or not such insurance is necessary, and a financial advisor can work with you to determine what your financial needs and opportunities may look like as you age. You must have the correct information about long-term care insurance before you decide to make that investment. If you would like to review your options for paying for long-term care, including long-term care insurance, call our office at (907) 334-9200 to schedule an appointment.